Hello! We have class again this weekend. Our next break is Thanksgiving weekend (so there's no class on November 26). If you need a new copy of the schedule, you can download one here. As always, the missed lessons are listed below. The Children's Christmas Choir has started once again. Please see below for more info. If your child never received a prayer folder, please have them tell their teacher. We have some extras that we can pass along to those students. Or if they lost the prayer packets or tally sheets, but still have the folder, we also have extra of those things. Once again, the books should go back and forth from class each week. That way if your child missed class, you can do the chapter at home with them. And, please make sure your son/daughter has only ONE book. We seem to have needed more books than kids this year. If your child missed class on November 12th, below are the chapter(s) that they missed. Grades K-5 also did a mini Safe Environment lesson. Grades PreK-K, pick up the missed leaflet from their teacher on Sunday. Our parish nursery will be open THIS SUNDAY during the 9am Mass. If you're interested in learning more or plan on sending your child (walkers-age 3), please stop by. 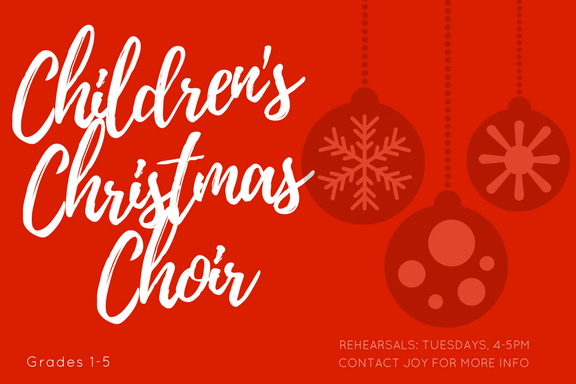 If you're interested in having your son/daughter (grades 1-5) join the Children's Christmas Choir, please contact Joy or simply show up for rehearsal on Tuesday from 4-5pm. The choir will meet every Tuesday from now until Christmas. Copyright © 2017 St. Bernard Parish, All rights reserved.